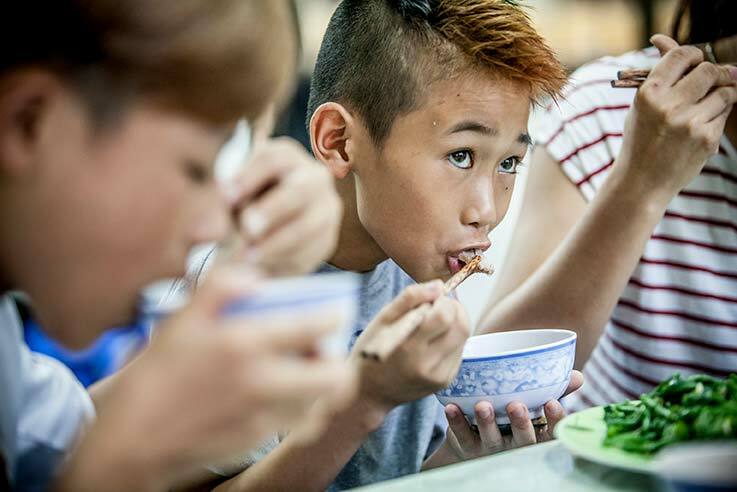 Provide nutritious, tasty food to street kids in Hanoi. You could sponsor a pan like Pete! He’s been working with Blue Dragon for a few years now and he’s one saucy character! Although he has quite a fiery temperament, he also has a more generous and giving side to his personality. He regularly supports street kids in Vietnam by creating delicious food to fill their hungry bellies. He can’t do it on his own though… For only $27 a month or $324 a year, you can make sure Pete can carry on his noble work. He’s not afraid to take whisks and has way too much thyme on his hands, so let’s make sure he can carry on helping those that need it most. Quarterly updates about Blue Dragon. Success stories of the children you are helping. Sample menus and information about the meals being served. Videos about health and nutrition at Dragon House. You can complete the process of sponsorship on the MyDonate website.